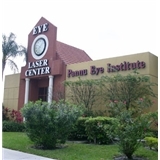 Pannu Laser Vision Institute (Lauderdale Lakes) - Book Appointment Online! We are committed to providing you with the most advanced eye care and laser vision correction technology and to giving you the best possible LASIK experience. At Pannu Laser Institute we offer state-of-the-art procedures to treat a range of vision disorders at affordable prices. Please contact us for more info. Thinking about laser vision correction? LASIK? PRK? LASEK? ? Which method is best for you? What is the latest technology available? How much does it cost? Where should you go? What should you expect? Our friendly staff at Pannu treats every patient on an individual basis to help guide them through the vision correction process. 4300 West Oakland Park Blvd.